A couple of weeks ago, we attended as exhibitors to Global Robot Expo 2017. 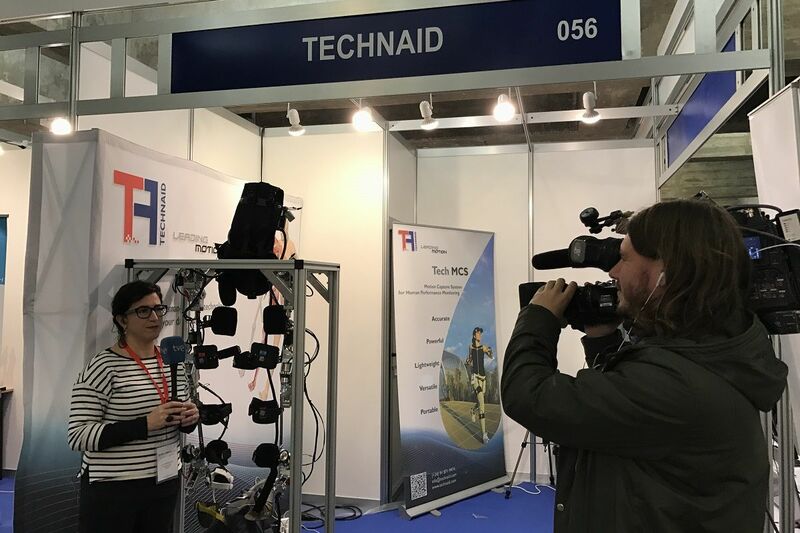 This event is the biggest one at Spain devoted to Robots and it is a great opportunity for Robot Companies because of the great expectation generated among the mass media. 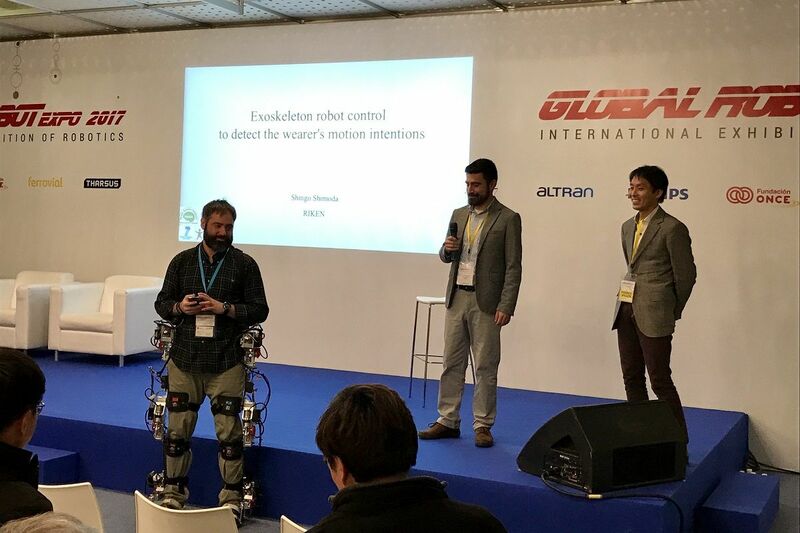 This was the first Global Robot Expo for us and it was a great chance to contact other robot companies and robot-interested audience. This year’s edition was a success because of the big number of attendants as well as exhibitors. 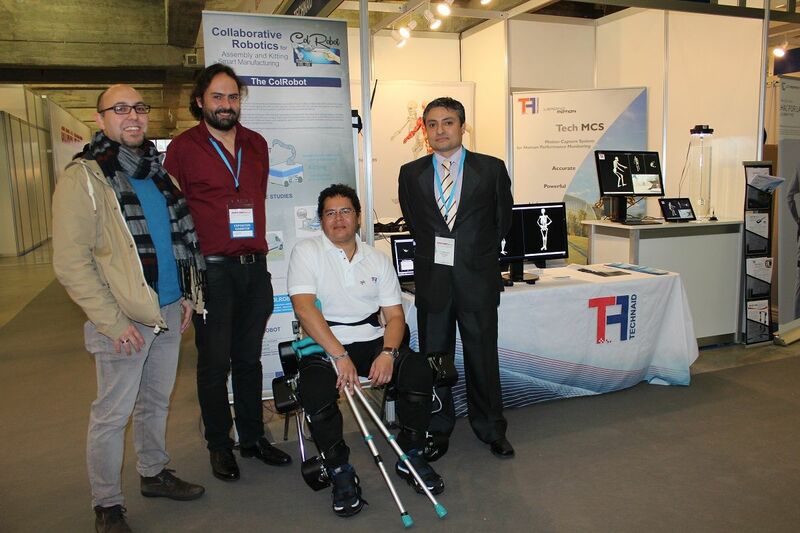 Many big companies met at the event as Cyberdyne or Tharsus as well as Spanish ones as RobotPlus or Technaid. 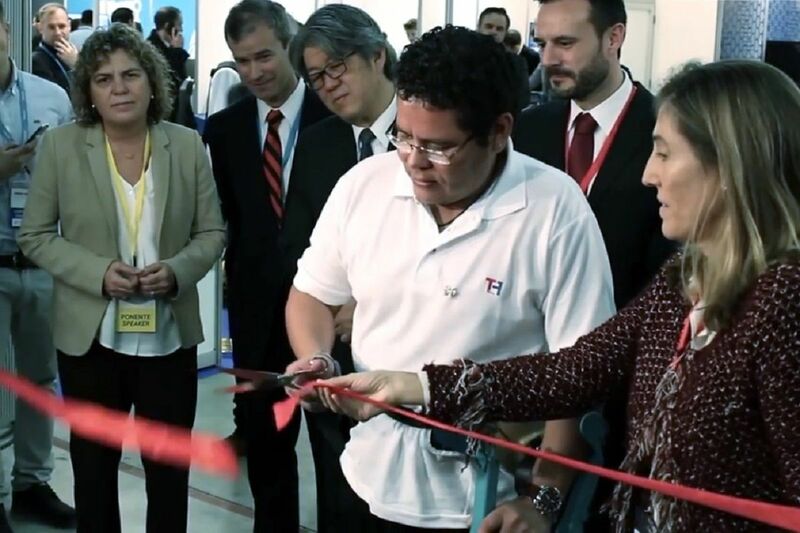 In the same way, several engineering universities were present with a stand as Carlos III University or Politécnica de Valencia University, among others. 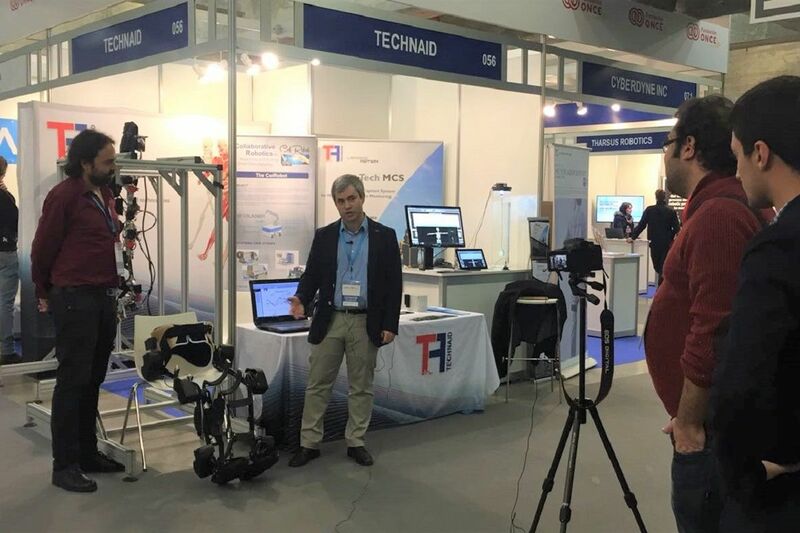 Our stand, number 56, was very crowded almost all the event due to the interest of the public on the different exoskeletons we showed at our stand and the spectacularity of our Motion Capture System, Tech-MCS. We count on our MoCap-girl Laura to demonstrate the main features of the Tech-MCS system. She allowed us to use live all the analysis tools that Tech MCS Studio has available as the gait segmentation algorithm or the one-click reports generator. 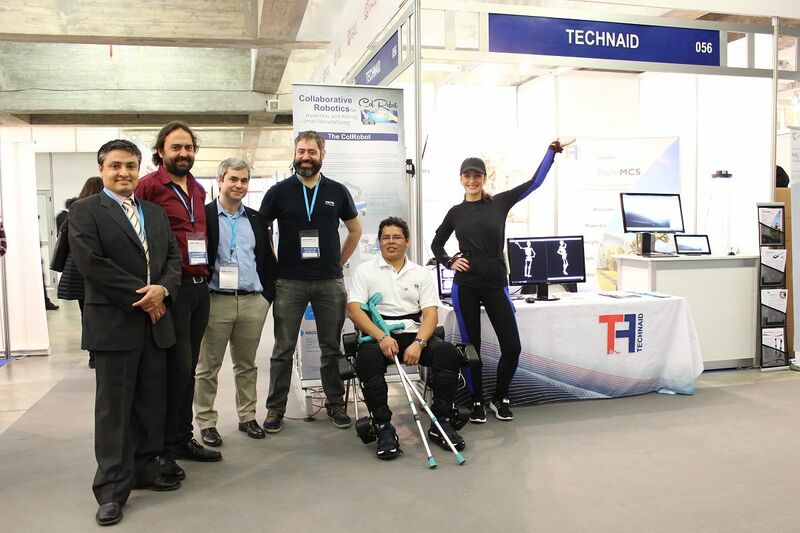 We want to thank Miguel Ángel Sabalaga for his collaboration during the first day of the event and mainly his great performance during the opening of the Global Robot Expo, where, thanks to the Exo-H2, he could reach the ribbon that later he cuts. The ribbon cutting had prominence on the media for the following days, as well as our Motion Capture System and our Exoskeleton. At the end of this post there are some links to videos about the event. 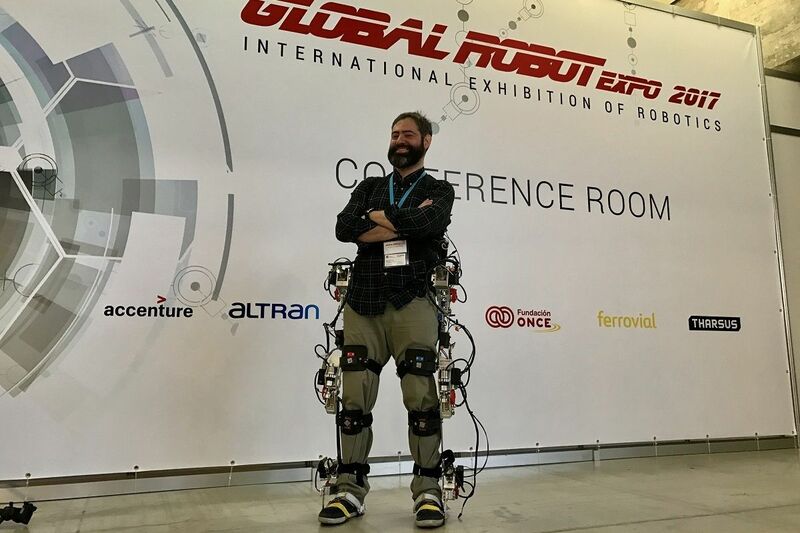 During the Global Robot Expo, it was presented the BioMot prototype too. 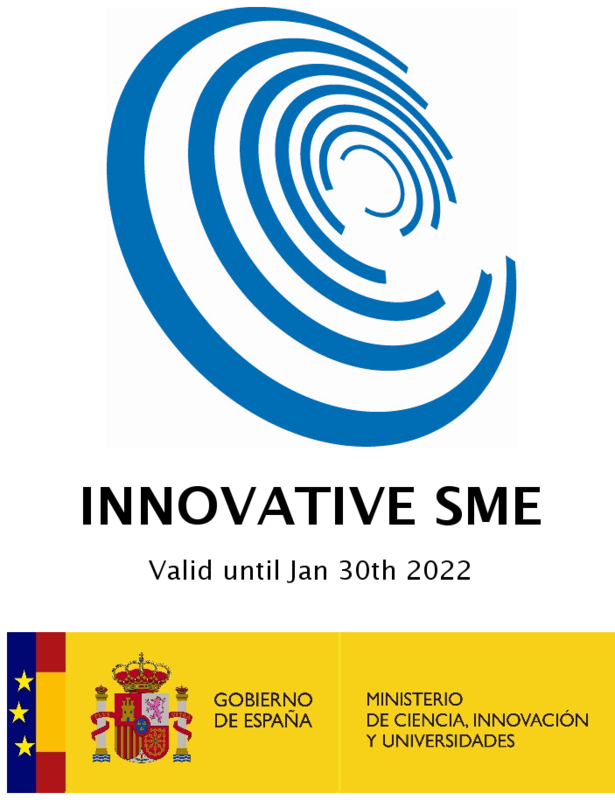 It is the result of a European Project where Technaid was involved and finished in 20016. PhD. Juan Moreno (from CSIC) and PhD. Shingo Shimoda (from RIKEN) explained to the conferences’ attendees the challenges achieved to develop the prototype. A live demonstration of the prototype was carried out too. For us, it was a pleasure to attend the event and we want to thank the Organization for their efforts. And, of course, thank again to our colleagues Miguel Ángel and Laura for their help during the Global Robot Expo 2017.